Following the Interstate Selection Trials of the Open Team and Women's Team, we had a busy weekend of 16th – 17th May to select the NSW Seniors Teams and Youth Teams. 19 seniors pairs were playing against each other in a 2 day event to qualify themselves to represent the NSW Seniors Teams in the Australian National Championships in Fremantle, Perth in July. The top three pairs were also selected on Sunday in the Youth Interstate Team Trials to represent the state in the ANC. Congratulations to all our teams, and we're sure they will do us proud in Fremantle! Rakesh Kumar, one of our seniors players in the event, reports directly from the field and shares some challenging hands with us. You don't want to miss his humorous analysis! Matthew McManus, our Chief Tournament Director, tells you how to avoid the "Nothing to think about" scenario. And feel like joining the field to have the first hand experience in the next congress? Check out our upcoming events in June! 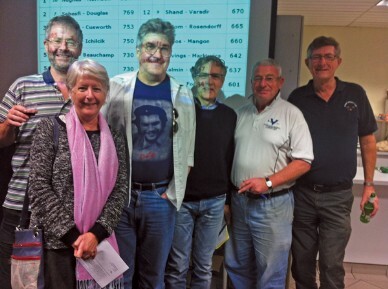 The Seniors Team was born on 17th May after a 2-day-event – Peter Jeffery, Heather Cusworth, Bob Sebesfi, Richard Douglas, Mike Hughes and Kim Morrison. 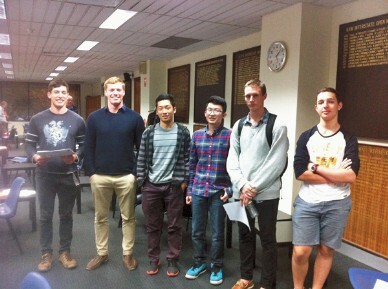 The Youth Team was selected – The McMahon brothers Charles and John, Junkai Zhou, You Hu, Dominic Bell and Tomber Libman. While competing against each other, the youth players were having fun in the Youth Teams Trial. The Championship was held over the weekend of 23rd – 24th May. Players have to qualify themselves for finals. 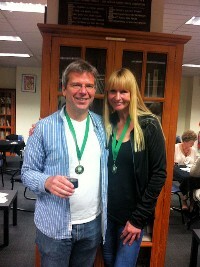 Andre Korenhof – Carola Hoogervorst have become our State Mixed Pairs Winners this year. 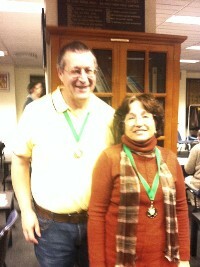 Liz Hurley – Stephen Hurley won the Country Mixed Pairs and Lavy Libman – Tomer Libman won the Autumn Swiss Pairs. Andre Korenhof – Carola Hoogervorst won the State Mixed Pairs Championship. The Country Mixed Pairs Winners Stephen Hurley – Liz Hurley. 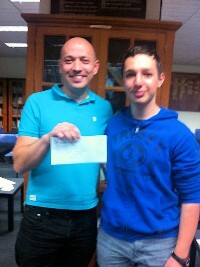 The Autumn Swiss Pairs Championship went to Lavy Libman – Tomer Libman. 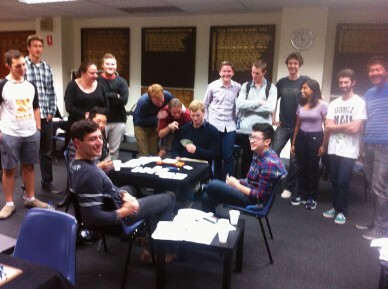 An insider's report of The Seniors Interstate Teams Selection Event – what Rakesh Kumar has done and should have done? Will thinking too long make your play illegitimate? Our Chief Tournament Director Matthew McManus explains when you should have "Nothing to think about".